Being Halloween I wanted to read and review something a little (or a lot) creepy. 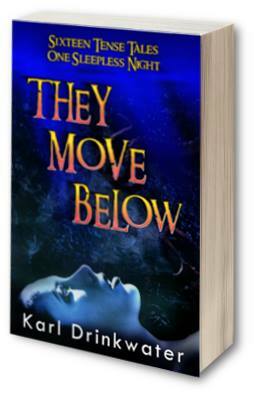 I decided on They Move Below by Karl Drinkwater. 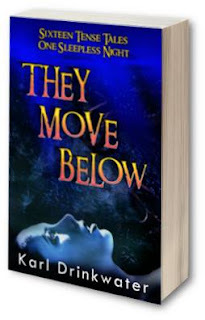 They Move Below is a collection of 16 short stories and contains some of the creepiest tales I've read in a long time. Before I get into my review though I want to share something EXTREMELY exciting! Earlier in the year I reviewed Harvest Festival, one of the stories in this collection and I absolutely loved it. As an amazing treat Karl Drinkwater has turned the first half of this story into an online interactive experience (think read your own story books, but online)! I cannot tell you how much fun it is reading through the story and making decisions for the characters, I get so involved each time I play/read through. This experience is now available for everyone to go and check out so I advise you to go do it and please let Karl Drinkwater (and me) know what you think! Ok so if anyone is still around (I don't blame anyone who isn't because I'd be over there reading through right now myself) I'll share my review of the 16 stories contained in They Move Below. The first story is Transmissions Part 1 and it is a kind of introduction to the book with a narrator contemplating darkness, the man is very philosophical and really makes you think, even when you have an idea of what he's actually about to do. If That Looking Glass Gets Broken, starts off innocuous enough and then then further into the story you get, the more messed up things become. By the end I wasn't 100% sure if I was dealing with a woman with mental issues or something a lot more sinister which made the reading very unsettling. The title story, They Move Below, is set on a small boat on the ocean containing just two people. I did struggle with the dialect at first but I soon fell into the rhythm of it. This story definitely shows how important it is not to mess with things that you don't understand and that a fear of the deep is a sensible one to have. I've always thought that museums can be creepy places and I couldn't put into words how creepy they may be at night...Karl Drinkwater however has done just that in Creeping Jesus! As a parent this also terrified me as the thought of school trips gets closer as my Nerdling gets older. I don't want to say much about Harvest Festival as you have the opportunity to experience the first half of it above, but if you do want to know more, my review of that is here and it also has a Q&A with Karl. "Holyyyyyy Crap" - these are the exact notes I write about Just Telling Stories. This story was absolutely terrifying and I think pretty much everyone's worst nightmare (or definitely mine at least). I struggled going to the bathroom in the night after reading this for a good while and probably will again now I've thought about it to review it! It really has stuck with me. There are also some really nice nods to Dean Koontz and other popular horror tales. In Claws Truth Forebear the main character really learns a hard lesson about not taking things that aren't yours, I don't want to spoil what the feeling you get through this story is, but I will say that I felt it extremely intensely and it was a very difficult read to get through as I felt like I was suffering with the main character. A really excellently written story. Breaking The Ice was extremely tense and I was never really sure what happened. I think that really adds to the horror of something, when you can only guess and your imagination does the work for you, usually with terrifying results. I really liked how How It Got There was written and I liked the idea that the threat doesn't always come from where you would expect. Very clever! Web is another story along a similar vein as If That Looking Glass Gets Broken in that you aren't sure if what is happening is the result of hallucinations from too much Nutmeg or if it is the slow mental breakdown of a woman who has suffered so, so much. Either way a painful read and you really feel for the main character and just want it to be ok for her. With the story, Scissor Man, Karl Drinkwater has created a classic urban legend that could easily rival the bogey man as the Scissor Man seems even more horrifying to me personally. It also leaves you questioning what really happens right at the end. I absolutely loved Sinker! This story was so incredibly well thought out and I don't think I've ever read anything like this before. What happens comes so out of the blue and was nothing like what I was expecting with a hunter becoming the hunted story. Though only a short story, I could picture the village clearly as well as the main character and I felt like I was right there with him. With technology and the access everyone has to information all the time, it is a lot harder to scare the current generation, but in Overload, this technology and access is used as the horror. Overload is written in a very interesting way and reading it as if you were the main character really helps with the immersion. Regression was really interesting and looks at whether childhood fears can be a reality and what would happen if they came true when you were an adult and had managed to avoid them for a long time. I really like stories written in interview format and Second Transcript really works well being written this way. I like the way it makes it feel like you are there as it is happening and are listening to the conversation backwards and forwards between the policeman and the witness. This story also adds more information to the How It Got There story and makes you question just how big this thing really is. In Living In The Present we have another story where the threat does not come from where you expect it and when it does come, it definitely does not come in any kind of form that would even cross your mind. There was definitely very strange Father Christmas imagery used in this story which made it extra creepy. In Bleeding Sunset, Dancing Snowflakes, the tension builds up slowly and then is released with an unexpected bout of childish glee and playfulness before the horror then kind of hits you in the face. Were vampires the cause of what happens or did the teacher do it all herself? Either way a really well written story. The final story is Transmission Part 2 and it is the one that goes big before you go home. To me the scary thing about this story is the smallest possibility that it could actually happen. No one knows what's out there in the vastness of space and no one really knows the repercussions of everything that we do here on Earth and how it can affect other things or beings. Overall an absolutely excellent collection and one I would definitely recommend to lovers of horror. There is also extra bits at the back where Karl Drinkwater talks about the inspiration behind each story and I thought that was incredibly interesting and actually answered some of my ponderings from while I was reading the stories. Other good news is that just in time for Halloween, Harvest Festival is also available as an audiobook! Click HERE for the links. Today on Getting To Know... I'm very happy to welcome book blogger Becca Burnton who has a wonderfully book filled blog called If Only I Could Read Faster. 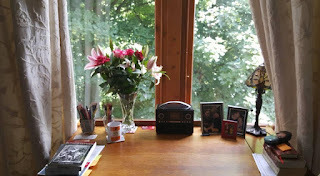 Your blog, If Only I Could Read Faster, is for all things bookish. What inspired you to set this up? I'd come to appreciate how much authors rely on reviews and I was reading some amazing books that I wanted to shout about and get people to read. So I decided to start a blog. I also had friends regularly asking me what they should read so thought if I had a blog I could just point them in that direction. I have to admit that I had no idea how much work would be involved in having a book blog! Yes I do. I've had a few favourite authors over time including Karen Rose, Jodi Picoult and Harlen Coben. 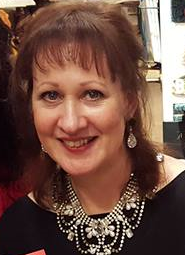 My current favourite author is Angela Marsons, author of the fabulous Detective Kim Stone books. They're amazing books and I just love the series. Angela has also written two other books that aren't in the Kim Stone series and the one I've read was really good so I'll definitely be reading the other. I have five year old twins so they keep me pretty busy!! How much has having dyslexia affected your reading? Can you tell me more about what it is like? It has hugely affected my reading. As a teenager I would get so frustrated that I was so slow at reading. It made it feel quite painful and I hated having to read books for school on a deadline. Dyslexia affects everyone differently, for me it makes me very slow but I also insert random words. I think that's the worst bit for me. I'll be reading a line and put in a word from the line below so the sentence no longer made sense, so I'd have to re-read the sentence. That made things even slower and stops the story from flowing. This website shows you how it can feel to read as someone with dyslexia Dsxyliea. As you can see it can make reading really slow and frustrating. I love my Kindle and it has really helped with my reading but Amazon do a special font for people with dyslexia called OpenDyslexic, which has made a huge difference for me. There's more space between lines and letters so I'm less likely to insert random things. I can't tell you how much it helps and it has made my reading quicker (for me, still slow compared to most people). A friend who has dyslexia described to me how she experiences reading. She can read, but it takes a lot of concentration, and the letters seems to “jump around”. Will we ever see a book written by you? I would absolutely love to write a book but very much doubt that I'll ever do it. I just don't have the confidence or the staying power I don't think. But you never know. Can you remember the first book that you ever fell in love with? The first books I really fell in love with would probably be the Harry Potter series. I just loved them and the world that was created and the way that so many people loved them. They were such escapism books. I remember buying the first few with adult covers so that people wouldn't know that I was reading a children's book, but then it didn't matter because so many people were reading them. I loved the excitement of a new book in the series and waiting for the midnight release. I cannot wait to read them with my children! Do you have your bookshelves organised in any particular way? Not really. They're normally organised by size although I have to admit that since having children my bookshelves are less organised. I've just bought myself a new bookshelf to put my favourite books and signed copies that I've been given. I'm stupidly excited to organise that one! Probably bed! Boring but there's something so nice about reading in bed, especially on a cold winter's night with the electric blanket on! Bookmark, random piece of paper etc or dog ear? I do read my kindle far more than real books these days but I use a random piece of paper for a bookmark. A dog ear would totally stress me out! Do you have one book that you always recommend to people, one that you think everyone should read? That's such a hard question! I'm not sure that I know of a book that everyone should read, as in a book that tells us something so important that everyone needs to read it. However, there are many books that I think people should read because they're really good. My most recommended books are Into The Darkest Corner by Elizabeth Haynes and I Let You Go by Clare Mackintosh. I think that both are amazing books. And of course Angela Marsons books. Thank you so much to Becca for joining me on my blog today and answering my questions! Today on Getting To Know... 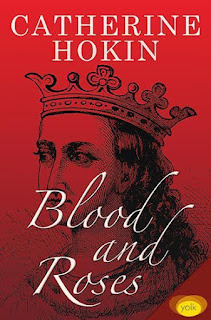 I have Catherine Hokin, author of Blood and Roses and all round lovely person. Your novel, Blood and Roses, is a historical fiction novel, what is it that draws you to this genre? I have always loved history (I did a degree in the subject many years ago) and I have always loved stories – I’ve been an avid reader since I could make sense of the squiggles on the page - so this was a logical genre for me. 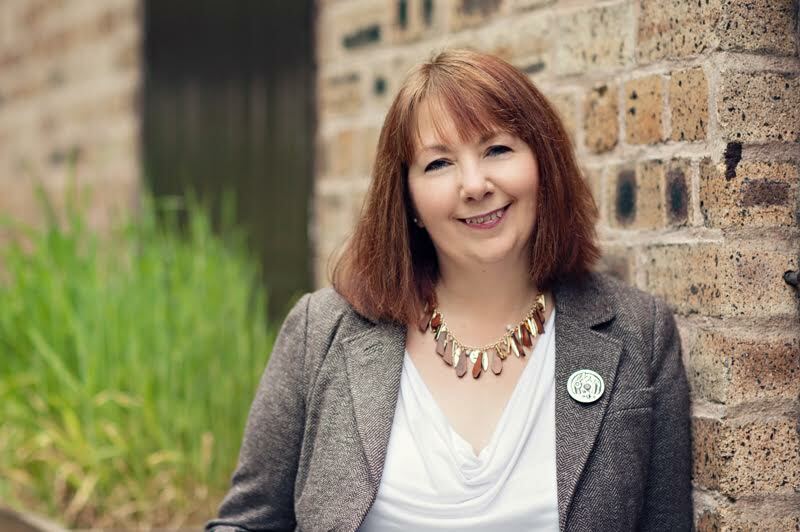 The beauty of fiction is that it allows you to wriggle under the facts: I’m interested in the ‘I can see what they did but why on earth would they do it…’ moments, they are what I dig into to bring my historical characters to life. Blood and Roses centres around Margaret of Anjou who is a real person and was the wife of King Henry VI, did a lot of research go into making some details as accurate as possible? Blood and Roses is set in 1460, what is it about this time period that you find interesting? The Wars of the Roses is a fascinating period, I have referred to it before as a medieval House of Cards and it really was. Two families, who were actually very inter-related if you step back a generation or two, pulling the country to pieces in a dynastic fight for the crown which had huge consequences for English history. Alliances changed, heads rolled, it was a bloody time and included the most brutal battle ever fought on English soil. The novel spans 1430-1480 but 1460 was a key turning point: Margaret, the Lancastrian queen, looked to be in the ascendancy but that was a fast-turning wheel. You also write short stories with a twist, do you have a preference over writing a novel or a short story? I love doing both! Although the short stories are about strong women, they usually have contemporary settings and allow me to play with different voices and genres: I have had a ghost story published and just completed a magical realism one. The best thing is you can enter competitions and get feedback – they are a great way to practise your craft. All your work has a strong female character, is this a deliberate theme on your part? Absolutely - I’m really interested in women’s stories which have often been lost or misheard or, in the case of Margaret, twisted by propaganda. I write about women who interest me, women who have faced challenges and had to make tough decisions, who have often been denied access to power even though they would have wielded it well. It’s not just me – if you look at series like Game of Thrones where the women have stopped being decoration and stepped centre-stage, or The Good Wife and Jessica Jones, it’s clear that people want these new perspectives. Maybe there’s a bit of Lady Macbeth in all of us. Do you have a set place that you like to sit and write? I have a study and I love it. My desk is in the front of a window looking out onto the River Kelvin, although admittedly I’m usually squinting through rain as this is Glasgow. I have an internet radio permanently on, my favourite movie posters on the walls and a sofa for when I’m ‘thinking’ (that’s my excuse). And if I need a change of scene, the wonderful Mitchell Library is 10 minutes down the road. It’s a pretty good existence. It’s too hard to choose one! I love Angela Carter, Wise Children is my go-to comfort book and Margaret George, whose books started me down the historical writing genre. I’m also a huge Kate Atkinson fan and Terry Pratchett whose books have recently led me to Neil Gaiman’s incredible American Gods. Then there’s Joanne Harris and Jane Harris – I need to stop. My second novel centres on Katherine Swynford and her long-standing affair with the twice-married John of Gaunt, Duke of Lancaster and son of Edward III. There are lots of interesting things about Katherine’s life, not least that she was the poet Chaucer’s sister-in-law, but one of the most fascinating is that she is incredibly absent from the period’s chronicles and that makes no sense. That started nagging so I went digging. Katherine lived in a time when propaganda was beginning to emerge as a strong political tool, when royal mistresses were not well-treated by the chroniclers and when John of Gaunt was widely-reviled as the cause of everything from plague to poverty. Change the angle of your gaze and her absence starts to look rather strange or, perhaps, rather deliberate. I have just signed with an agent for this novel so hopefully there will be news soon! Thank you so much to Catherine for answering my questions, I'm looking forward to more news about her next book! 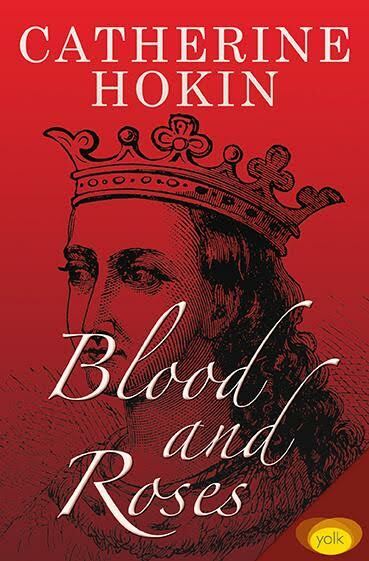 A novel of Margaret of Anjou and her pivotal role in the Wars of the Roses. Today on Life Of A Nerdish Mum I am happy to be the first stop on the Beneath The Skin by Sandra Ireland blog tour and I have a wonderful guest post by Sandra about myths and legends in fiction. This is bad news if you’re a writer! We need new ideas. We need to be fresh, authentic, original! Readers want that too. They don’t want to read something that’s stale and re-hashed. But Twain offers a tiny ray of hope; “We keep on turning and making new combinations indefinitely; but they are the same old pieces of colored glass that have been in use through all the ages”. Look no further than the world of myth and legend – something that inspires my own writing greatly. I love to re-imagine some of the myths and tales that fascinate me. Sometimes, just a few words or an image might find its way into my work. The wren, for example, the subject of many Irish myths, features in my debut novel, Beneath the Skin as a way of showcasing my character Alys’s passion for taxidermy and her undoubted intellect. So what exactly is a myth? Well the official definition is: A traditional story, especially one concerning the early history of a people, or explaining a natural or social phenomenon, and typically involving supernatural beings or events. OR any invented story, idea, or concept. I also love to add some folklore into the mix. Folklore tends to be much more specific. It is shaped by a particular landscape, culture or indigenous belief system, and it is attached to that landscape, and to us, as a sort of collective memory. This is why folk tales remain very emotive for us. In Scotland, for example, the tale of the Selkie, or Seal People, is a common theme in our writing. One brilliant example is the novel Secrets of the Sea House by Elizabeth Gifford or how about my favourite poem ‘At Roane Head’, by Robin Robertson. Whatever inspires you, whatever story holds a place in your heart, there are myriad ways in which to give it Twain’s kaleidoscope treatment. First of all, there are a few clever decisions you need to make. Which character is telling the story? If we take a common fairy tale as an example- Cinderella, perhaps- we can think about using a fresh viewpoint. I once re-imagined this as a contemporary teen story narrated by a very cynical and ungracious ‘ugly sister’! It was subsequently published in a popular women’s magazine. For a fresh slant on things, it’s important to choose your starting point with care. Sometimes it’s more immediate to begin the narrative at a critical point. Perhaps just after the Wolf has eaten Grandmother! You can always use flashbacks and a non-linear approach to fill in the rest of the story but it’s crucial to engage the reader from the first word. Myths and legends do not have to remain in the Dark Ages. Many contain a very timely message and can be updated easily. Most lend themselves to fantasy and sci-fi genres- think Game of Thrones. George R.R. Martin’s novels owe much to real historical events such as The War of the Roses, but are heavily inspired by the Viking Sagas and similar mythologies. So whatever you choose to write, or to read, this week, let’s hope all the coloured pieces of it sparkle in a new and curious way! 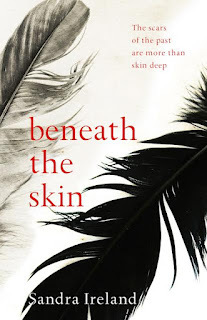 Sandra Ireland’s debut novel Beneath the Skin is out now in paperback and ebook. 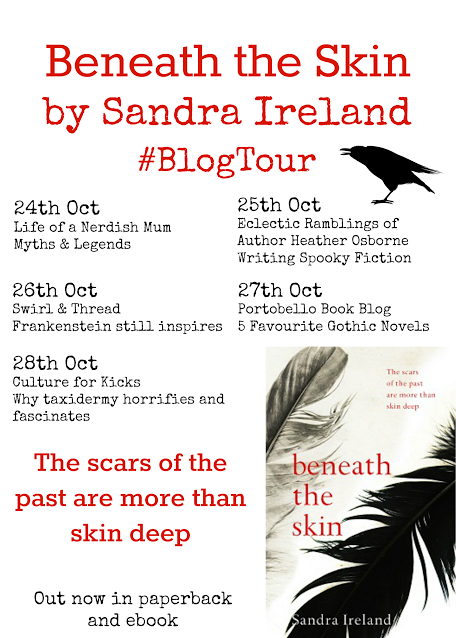 And finally, don't forget to check out the rest of the blog tour! 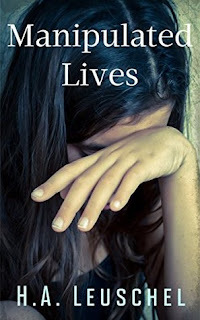 Today Life Of A Nerdish Mum is one of the stops on the blog tour for Her Last Breath by J.A. 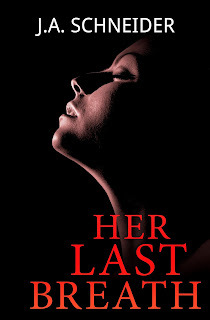 Schneider, I have my review of Her Last Breath as well as a Q&A with the author. 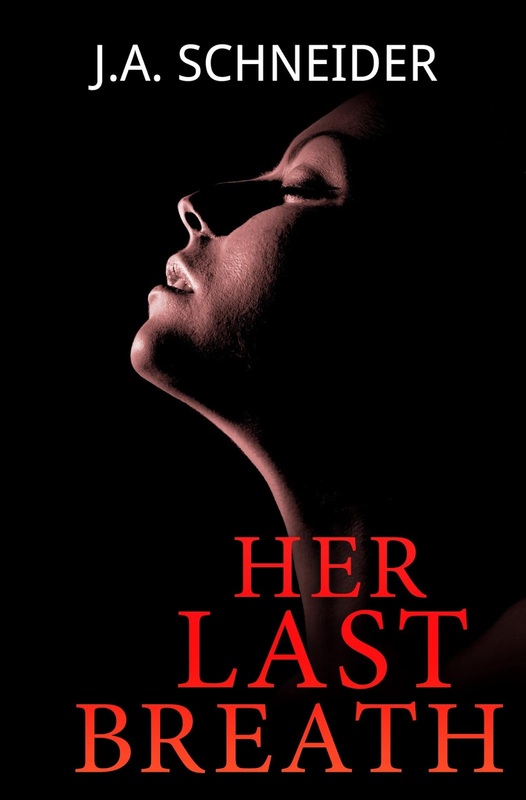 Mari Gill wakes to horror in a strange apartment next to a murdered man, and can't remember the night before. Accused of murder, she feels torn between her husband, a successful defence attorney, and a mysterious, kind man who wants to help. Can she trust either of them - or even her friends? Detective Kerri Blasco battles her police bosses believing Mari is innocent...but is she? Imagine waking up next to a dead body and not knowing how you got there, why they're dead or even who the body is. That's how the story starts and you really feel the stress and shock felt by Mari as she wakes up to this living nightmare. This was a really great start to the book and it had me hooked instantly as I needed to know what had happened. The story is fast paced and there are twists and turns throughout that keep you guessing as to what really happened. I had decided a few times who I thought had done it or what had really happened, but I kept changing my mind with every new chapter. This is really exciting in a thriller as you just want to keep reading so you can see if you are right or not. The characters are all really well developed and I really fell in love with some character while others I took a disliking to, I really liked Kerri Blasco, she is smart and determined and doesn't let other people get in the way of her doing her job properly, even if one of those people is her boss. both Kerri and Mari felt very real to me and I really enjoyed watching the trust and relationship building between the two. Overall this is an excellent book and I will be going back to read the first Kerri Blasco book, though this book is the second in the series, you can definitely read it as a stand alone if you chose. Your novels are thrillers, whether medical or psychological, what in particular draws you to this genre? You say your books will usually have something medical about them through inspiration from your husband. Have you ever been tempted yourself to go into the medical profession? Nooo. I could never have survived med school, the gruelling studies, the lost sleep…but I so admire those who have done it, and who are committed to helping people. I never could have managed the brutal sciences anyway; I’m pretty good at languages and have a passion for art, all that right-brained stuff, but I can’t add 2+2! Thick as a plank there. I really love NYPD Detective Kerri Blasco. She is highly intuitive, with uncanny abilities to read people and the language of crime scenes. Plus she’s nice, tough and tender and frequently funny. Some of her fellow cops think she’s psychic, but she just says, “No, you’ve just gotta feel.” Her main beef is with the occasional cops - including her irascible lieutenant - who go for easy arrests to placate the media or just close their books. She holds her own to the max with them. Do you have a set routine that you follow when you sit down to write? Yes, afternoon from 12 to 6. After that the little grey cells feel fried. Reading, doing laundry, shopping, errands, all the mundane stuff outwardly - but inwardly the fiction wheels are always turning, thinking up the next scene, the next story. I could be in a check-out line at the supermarket but really, I’m on another planet. You used to write for Newsweek Magazine, have you found that writing novels takes a completely different discipline? You were an exchange student in the Soviet Union and it sounds like you had quite a few adventures, would you like to share one with me now? Smile, oh that. There are stories without number, but a biggie was getting arrested for spreading anti-Soviet propaganda. What happened was, days after finishing college (that’s what we Yanks call university), I was sent with eleven other students on the US-USSR Student Exchange. For a week before leaving, we were trained & warned: this is a good will endeavour, don’t offend them, don’t photograph their drunks on the sidewalks or garbage piled or lack of plumbing or comment about their having only one kitchen per floor of each block-long apartment house, just smile and say "How Nice". So we were good little Americans, admired all their war monuments, went to class with them, hiked with them, drank too much vodka with them, worked hard learning more Russian. BUT. One sweltering August day in Leningrad (now back to St. Petersburg), we returned to our hotel (which we called Old Stinky), and we were exhausted, thirsty <— a problem since - no sinks or bathrooms except way down a really long hall. Instead, on a table in the middle of our room-for-four, was a carafe of water with wrapped, upside-down glasses. Water!! Hooray!! Only…the water was coloured pea-green, the colour of the Neva River full of algae. Sooo…we started to laugh, just peals of giggling and laughter, thinking it was safe to because the door was closed. How were we to know the room was bugged!? The next thing - BANG! BANG! - pounding on the door, which they threw open anyway, three thick-necked guys in trench coats (in August!) with one shouting “Vwi aristoveni!” You are arrested!! Spreading anti-Soviet propaganda! So we were marched off to the neighbourhood Komsomol/Communist HQ, complete with cells, grey walls, one covered window, more guys in trench coats. It turned out okay, after a few hours. We heard them shouting into phones; it must have been decided that us young American jerks just weren’t worth an international incident, and we were let go, to trudge back to Old Stinky. I can tell you that never, NEVER in my life have I so craved a Coke. Yup. Ira Levin (BOYS FROM BRAZIL, ROSEMARY’S BABY, etc). Second favourite is William Goldman (Butch Cassidy & the Sundance Kid), for his MARATHON MAN. What a terrifying, heart-breaking story. Oh sorry, I gave you two authors. But Ira Levin wins. For his intensity & brevity, his ability to say so much in just a few words. If you could give your younger self advice about your writing career, what would it be? I’d tell my younger self how hard it is, and how it never really gets easier. “A writer is always terrified.” I love David Balducci for saying that. Her Last Breath has only just come out, but what can we look forward to from you next? It’s between the next Kerri Blasco thriller and a standalone thriller. I’m in the mulling stage. 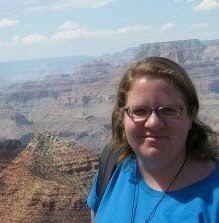 Kerri will probably win. The concept behind Manipulated Lives by H.A. Leuschel really intrigued me as there are five short stories but they are all based around the same theme of manipulators. Each story is different and told from a different perspective but they're all about the same basic thing. I have been a victim of more than one manipulative person when I was younger and I was very interested to see how the author portrayed this in her stories. The five stories are Tess and Tattoos, The Spell, Runaway Girl, The Narcissist and My Perfect Child. In each story the characters are all just so believable, I felt myself empathising with so many of them or at least recognising certain parts of both myself and other people in them. Tess and Tattoos I felt was really emotional and I'm not afraid to say that I shed a tear. Tess was such a powerful character that you would never imagine that she had been weak in her life. I think that Tess was actually one of my favourite characters throughout the whole book and I still feel like I really want to just hug her. This story just shows that you never really know anyone's full story and that even the strongest of people can be manipulated. The Spell followed Sophie as she started a relationship with David, the single dad of Leo. This story was one I identified with a lot and saw so many warning signs that Sophie missed as she got further into the relationship. It was also interesting to see just how clever a manipulator can be that they can have you believing that their victim is the manipulator and not them. The Runaway Girl was another one that I related to, followed teenage Holly, the good girl in her group of friends and in her family. She feels trapped and is planning on running away until she meets a boy. It was hard to see such a bright girl being duped by such a nasty piece of work, but again this shows that manipulators aren't just adults and that they can be any age. The Narcissist was he least favourite of mine of the stories as it was mainly from the very confused perspective of the manipulator in his last weeks/months of his life. It was hard to read how much that he actually believed his own lies and how much he blamed everyone else for his own shortcomings. My Perfect Child as a parent was hard to read as you have so many fears about how you are bringing up your child, that you just want to get everything right. Lisa after having an uncaring childhood of her own wants to ensure that Lucas is loved and feels loved and so she caters to his every whim even to the detriment of her husband and others. This leads to a spoilt child and a worse teenager and adult. The question that came to my mind while reading this story was whether Lucas had been born manipulative and Lisa just allowed him to get away with it, or was its Lisa's unwavering loyalty and love that created his manipulation. It all comes back to the nature vs nurture question and in this case certainly we'll never know. Overall such a wonderful and different read. I'm so incredibly happy that I read this book and I could barely put it down while reading it.